I spent a little bit too much time in Livingstone, Zambia, in the end. I got an email saying that I had to make it all the way to Swakopmund, Namibia in just a week for an assignment, and since I had been dragging my feet I really had to race to get there. Basically, I had to get from Livingstone all the way across Namibia in a week. The total journey was about 1600km on the scooter that was hardly functional at this point. Essentially, I travelled from the lush region of Livingstone, along the Caprivi, then across the Namibian highlands and then across the Kalahari in just a week. It was insane, and much wilder than it might seem on film. On this 3 day episode, I crossed the Caprivi Strip section of the journey, and had some cool experiences as I did so. 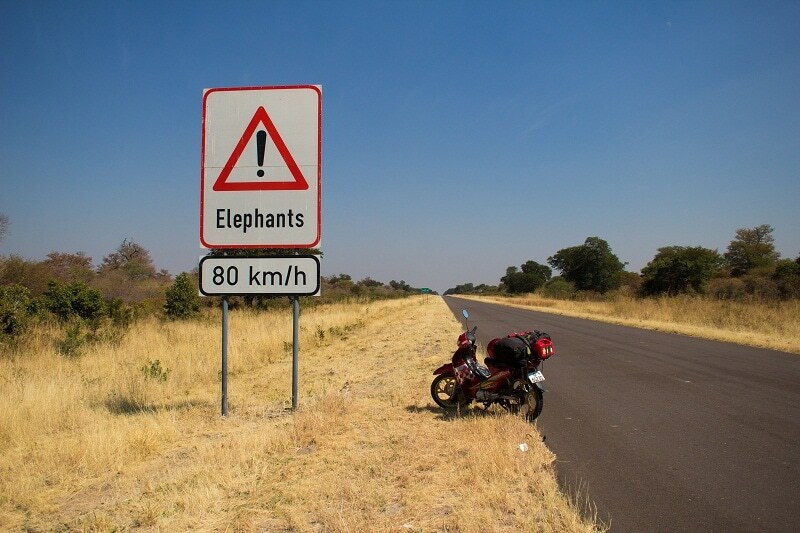 Obviously, I would have liked to stay longer on the Caprivi, but with time being a problem, I really had to motor. Along the way, I stopped at a couple cool places. My first night, I stayed at a cool little cabin at a place called Caprivi River Lodge. 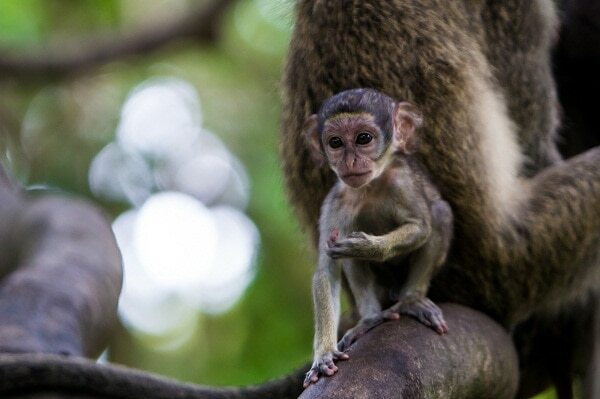 The grounds were overrun with vervet monkeys. The place was also right on the river which offered amazing views for sunset. I spent the second night at the quirky campground/lodge of Ngepi, which was so much fun. However, my night there was restless as loud hippos who were wandering through my campsite all night kept me awake. I ended the trip across the Caprivi Strip at a hotel near Rundu, Namibia. The following day, I start my push all the way across Namibia in hopes of making it to Swakopmund in time. Some mechanical issues are sure to make it interesting. Stay tuned.